A piece unique created to showcase the exceptional skills and expertise of the master watchmakers of Vacheron Constantin's Atelier Cabinotiers department, the Maitre Cabinotier Perpetual Calendar Regulator is distinguished by its regulator-type display, inspired by the precision clocks used to adjust watches from the 17th century onwards. Also called "master clocks", these high-precision timekeeping instruments served as a point of reference in the watchmaking workshops and astronomical observatories of the time. The regulator-type display of the hours and minutes is complemented by perpetual calendar and moon phases indications: the pink gold-rimmed day of the week and month apertures appear on either side of the offset hours counter at 12 o’clock while the pink gold moon appears on a snailed counter at 6 o’clock. 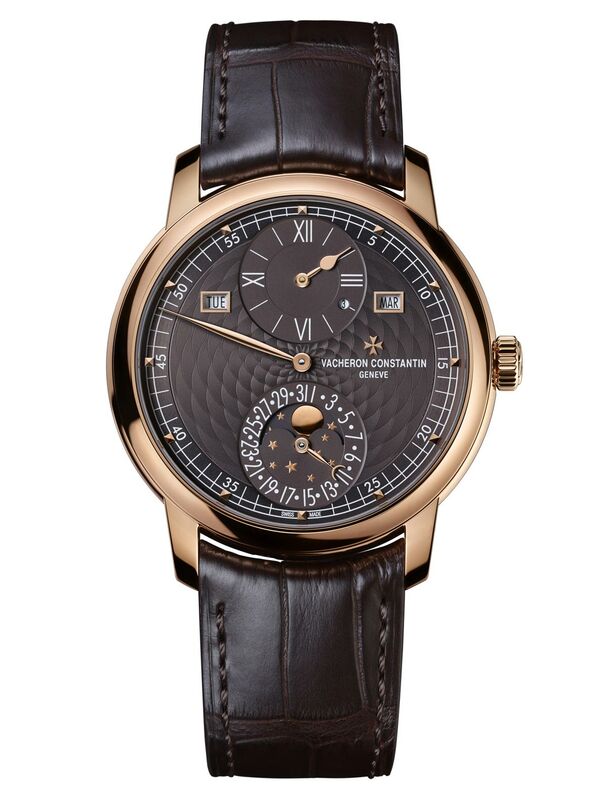 The small circular aperture positioned in the hours and minutes sub-dial at 4 o'clock indicates the leap year. 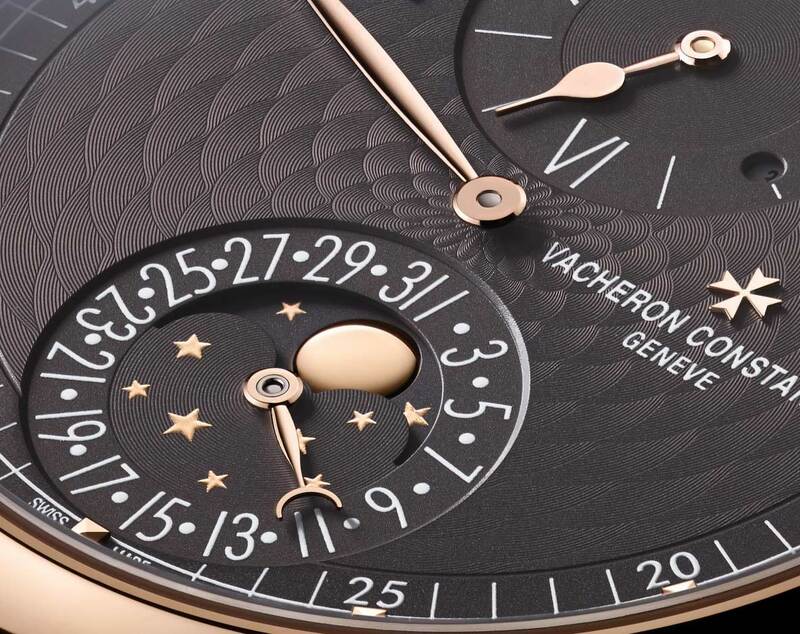 The gold hand-guilloché dial is adorned with an opaline brown finish and features slender leaf-type hands, "clous de Paris hour-markers and Roman numerals. 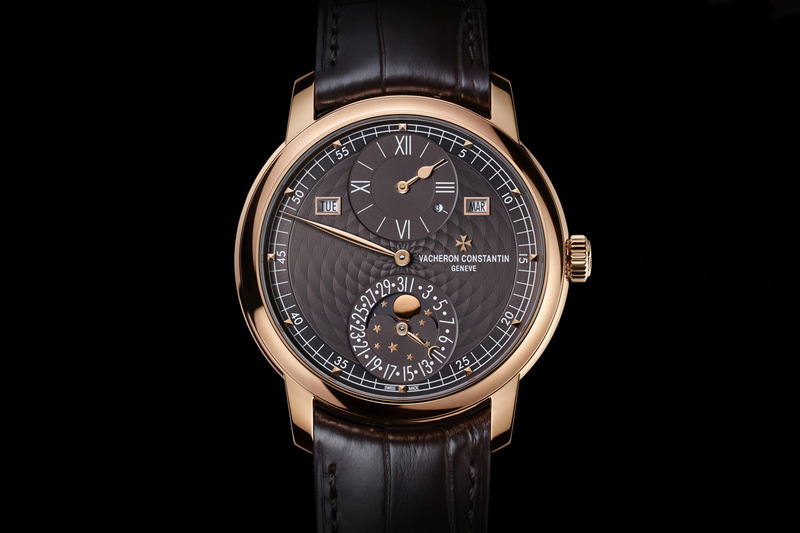 The precious dial is framed by a 42 mm-diameter x 11.7 mm thick pink gold case that is water-resistant to 30 metres. The mechanical heart of the timepiece is the new Caliber 2460 RQP that was specially designed and developed to provide a regulator-type display of the hours and minutes. Comprising 334 meticulously decorated components, the movement beats at the frequency of 28,800 vibrations per hour and ensures a 40-hour power reserve. 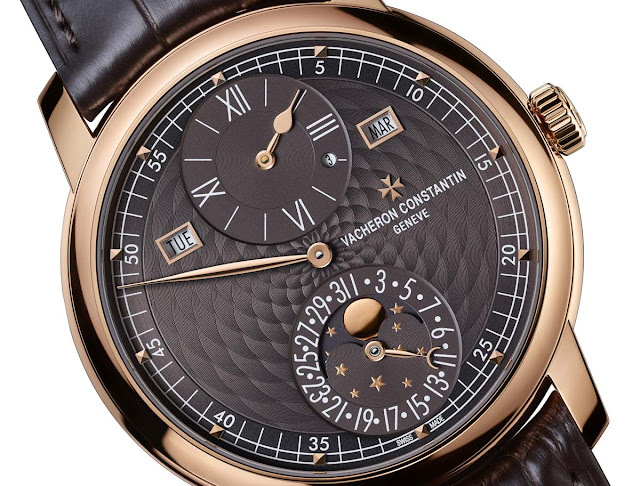 The Vacheron Constantin Maitre Cabinotier Perpetual Calendar Regulator is completed by a hand-sewn brown alligator Mississippiensis leather strap and delivered with a watch winder, a corrector pen and a magnifying glass. Vacheron Constantin Maitre Cabinotier Perpetual Calendar Regulator. 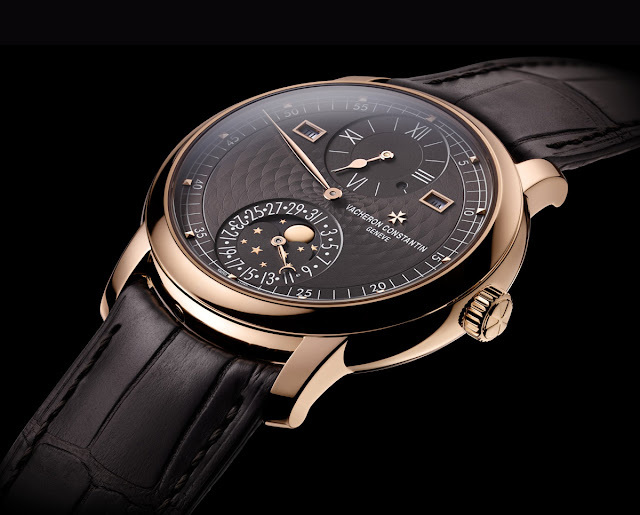 A piece unique created to showcase the exceptional skills and expertise of the master watchmakers of Vacheron Constantin's Atelier Cabinotiers department, the Maitre Cabinotier Perpetual Calendar Regulator is distinguished by its regulator-type display, inspired by the precision clocks used to adjust watches from the 17th century onwards. Certified by the Hallmark of Geneva, this timepiece perpetuates the tradition of technical excellence and innovation cultivated by the 18th century cabinotiers.